3 Can you supply the sample9 Certainly ,The free sample for your reference. 4 Do you have the after services9 Yes ,our after services is timely ,reliable ,first class. 5 Can you manufacturer according to my drawing 9 We have our own design department ,your any size is available. 10 YRS Hebei Jinbiao Construction Materials Tech Corp., Ltd. 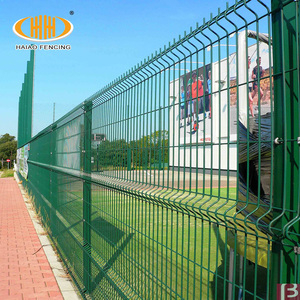 Decorative post Feature: 1) Fencing with square post is a popular product in many developed countries. 2) It is artistic, normal, economic and functional, so it&rsquo;s very popular around the world. It is well suitable for a wide range of application, for example for residence, garden and road. 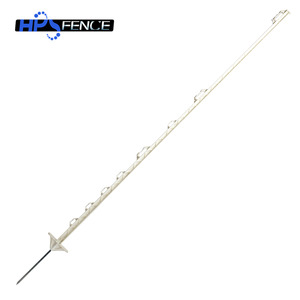 7 YRS Jintan Kaijian Fencing Products Co., Ltd. 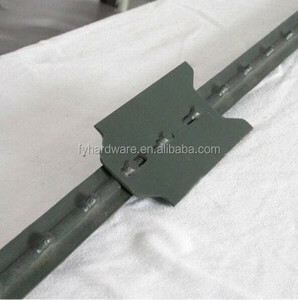 Plastic post and rail Kaijian KJA seires use PVC(Vinyl) material and widely used for replacement of traditional timber post and rail. most of our client who bought those material from us gives high comments, compare to traditional timer post and rail. 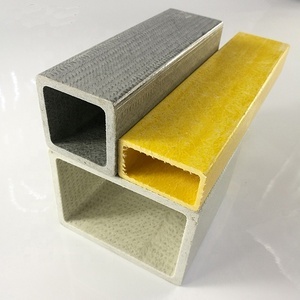 We have two choice for rail, standard rail is 1.5"x5.5" ribbed rail, and we have big rail 2"x6" ribbed optional choice. 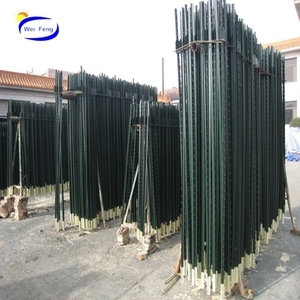 Process: Welding, folding, galvanizing, pvc coating, powder painting. 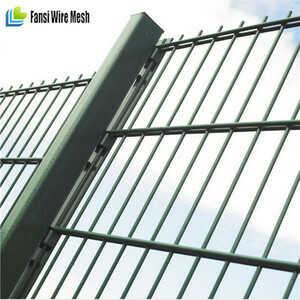 Characteristics :high strengh,fine steel,beautiful appearance,broad view,easy installation,bright. 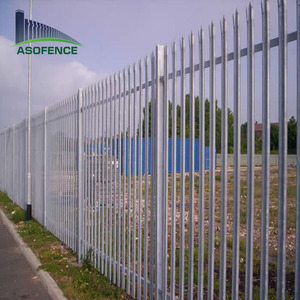 Application: Wire mesh fences are used in protection and isolation for road, railway, airport, residence district, seaport, garden, feeding and husbandry. 12 YRS Anping Xinlong Wire Mesh Manufacture Co., Ltd. Wholeheartedly, we welcome new and old custmers to discuss with us for cooperation. 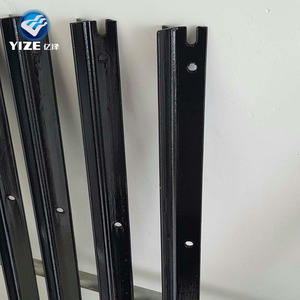 1.Wide range of goods- spe cialized in producing all kinds of garden series, pole anchor series, wood connector series and other metal products. 4.Design- - different type is welcomed, we can produce as per customer request. 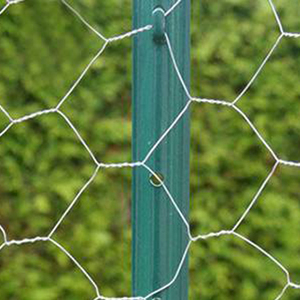 6 YRS Haotian Hardware Wire Mesh Products Co., Ltd.
2 YRS Shanghai Forshine International Co., Ltd.
1 YRS Yantai Cojee Decoration Material Co., Ltd.
9 YRS Anhui Red Forest New Material Technology Co., Ltd. If you are new importer, we could help you to deal with them. We are sure the best price and the best quality. 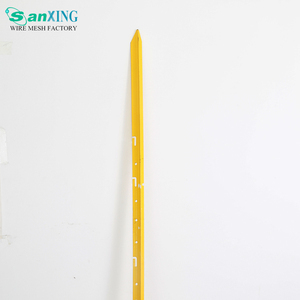 We have more than 10 years professional experience in producing wpc items. Alibaba.com offers 57,105 colorful post products. About 3% of these are fencing, trellis & gates, 1% are mailboxes, and 1% are silver jewelry. A wide variety of colorful post options are available to you, such as wood, 100% cotton, and stainless steel. You can also choose from free samples, paid samples. There are 57,105 colorful post suppliers, mainly located in Asia. The top supplying country is China (Mainland), which supply 100% of colorful post respectively. Colorful post products are most popular in North America, Western Europe, and South America. You can ensure product safety by selecting from certified suppliers, including 8,881 with ISO9001, 6,037 with Other, and 2,712 with ISO14001 certification.